Semi-automatic tube filling and sealing machine NEWECO NTT-200 is used for filling of polyethylene and laminated tubes with gels, creams or other fluids, sealing them with hot air, stamping date and / or batch No. and cutting excess plastic on the tube ending, which arises during the tube sealing. The operator loads empty tubes and positions them manually with the help of laser indicator. He then slides all tubes manually and presses two start buttons to initiate operation. 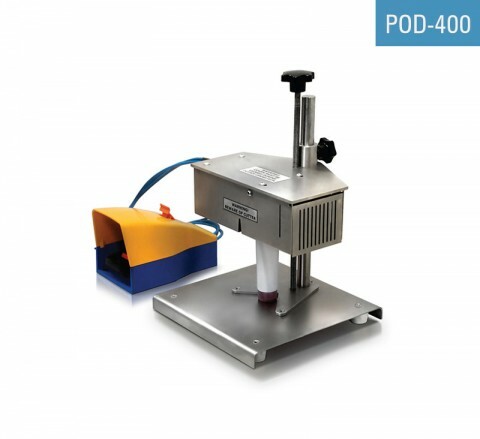 The small tube filler and sealer automatically fills, seals, codes, and trims the tubes. 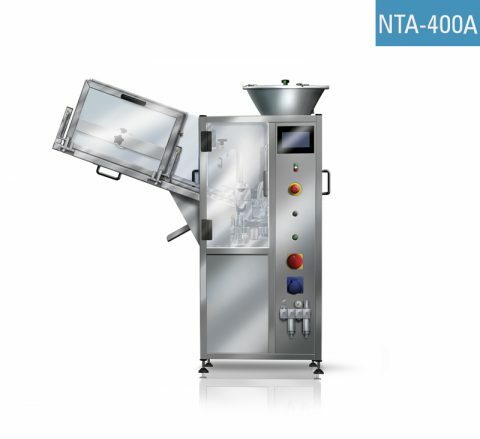 The machine ejects closed tubes automatically. 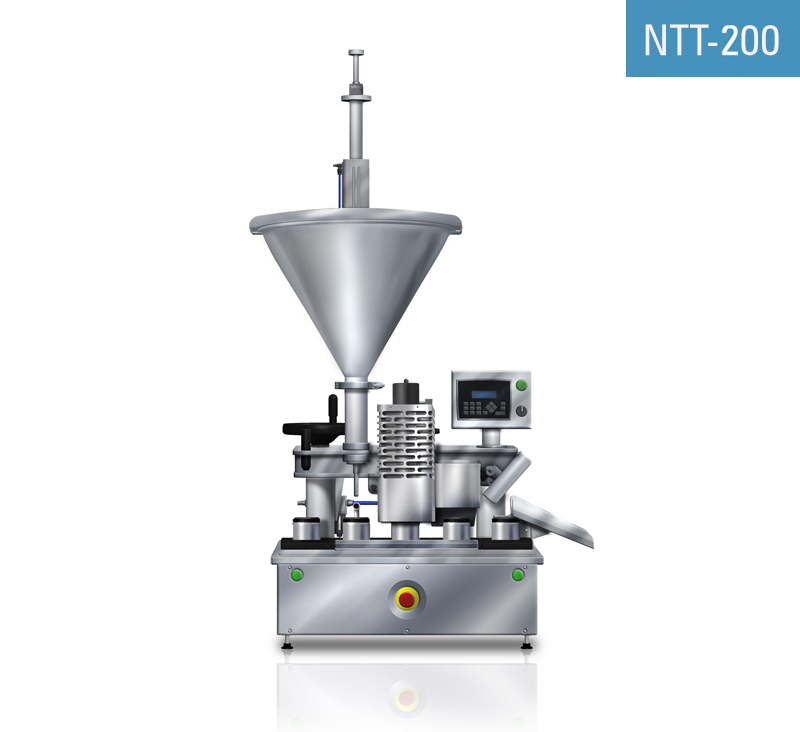 The cheap semi-automatic tube filling and sealing machine NTT-200 is used for packing of cosmetics, pharmaceuticals, chemicals and food products into tubes. 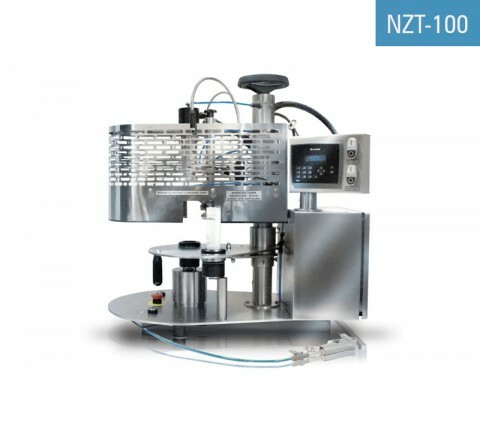 The budget tube filling and sealing machine is designed to handle small and medium size batches / production lots / jobs. It can be used for regular production or for labs. 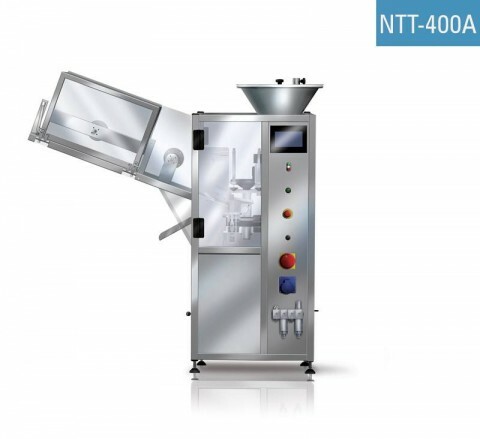 NEWECO is a manufacturer of manual tube filling and sealing / crimping machines for thermoplastic (polyethylene (PE), laminated and other plastic) and aluminum tubes. 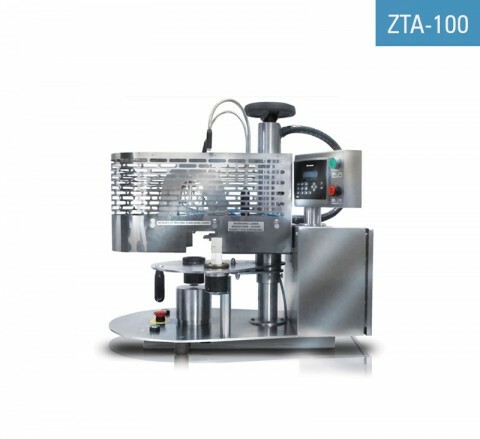 All our machines are designed and manufactured in Poland in the European Union. Contact us to receive a price quotation. We do not trade with used machines / equipment, however we are convinced that you will find the prices / pricing of our new machines very attractive. Our machines and devices are designed and manufactured entirely in Poland (in the European Union).